A nerdy gemologist - Bellamy ‘Belle’ DeWinter - ends up the prisoner of a narcissistic yeti named Abigail Snow, who lives in a sparkling mansion made entirely out of blue quartz and whose loyal servants are living statues made out of semiprecious stones. When Bellamy starts to think the yeti girl might actually be kind of cute, he freaks out about his unsettling case of Stockholm Syndrome but decides to man up and help Abigail find a way to break the curse. Neverland is in trouble. An evil mage who can shape-shift into a gigantic crocodile has stolen the Neverland Clock and broken the spell upon it so that time has returned to Neverland. As a consequence the girl who never grew up - did. 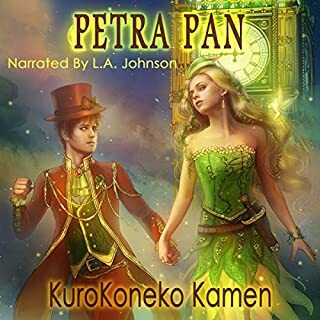 Petra Pan, now a young woman, travels to London, England, in search of a knight worthy enough to be able to pull the only weapon capable of defeating the Aztec god Tezcatlipoca from the stone - Excalibur. Petra along with her loyal male fairy companion, Tinker, encounters a fencing champion named Eirwen Darling. A very enjoyable, entertaining and fun listen! Plant Alien Malakye Sterling hides his glowing, silver skin with white goth makeup as he tries to blend in with human society. He owns a flower shop named Out Of This World Flowers that sells not only a wide variety of Earth plants, but also dangerous, carnivorous alien plants. He harbors a painful, secret longing in his heart for a human female, but due to his fear of rejection doesn’t intend to reveal his feelings. Super hacker Hexa Decimal works for the ADTF (Anti-Demonic Terrorism Force) as agent Darkhart’s personal secretary. She used to be a major, but after a horrific encounter with a demon in Afghanistan left her paralyzed from the waist down she was forced to continue fighting against demon terrorists from the shadows instead of on the battlefront. 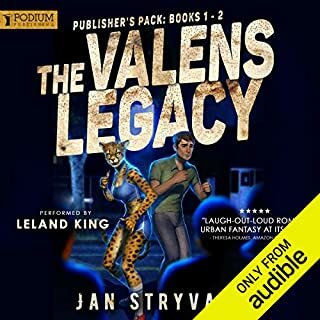 She has no idea that her Online friend is secretly in love with her, but will she be able to overcome her hatred for nonhumans, and give Malakye a chance? Malakye’s twin brother Jedite may be his mirror image, but he couldn’t be more different. Malakye believes the Lunarians should try to live their lives in peace, coexisting with other alien races. Jedite, however, believes that Lunarians are superior, and that it is their destiny to rule the universe. Jedite wants to conquer the Earth in order to liberate the planets from the oppression of humanity, and to get his revenge on the Archangels that destroyed the Lunarians’ home planet of Flos Luna eons ago. 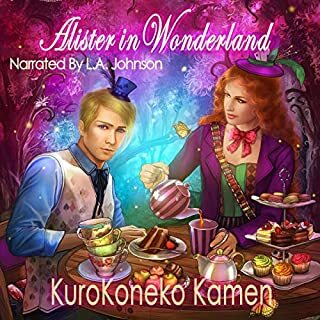 I enjoyed listening to this fantasy like audiobook. The story is somewhat similar with some books in this genre but enjoyable nonetheless. I received a free review copy. This is the second book I've read from the author. 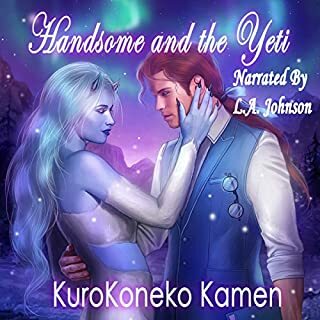 The first was Handsome and the Yeti which was a delight! This book was just as sweet and funny! I love how the author KuroKoneko puts a new fresh spin on love stories and she has a very natural, easy and fun voice! I just love her characters. They make me giggle in the best way! this was a creative and enjoyable story, the narration was great. i will be looking for more of her books in the future. This is an interesting story. This had so many different species that I love. I like that is had humor and action. It kept me from wanting to stop. I also like that listening to the book brings it more to life. This story delves into one of my personal favorites of KuroKoneko Kamen's characters... Malakye! In this book we get to learn all about Malakye. 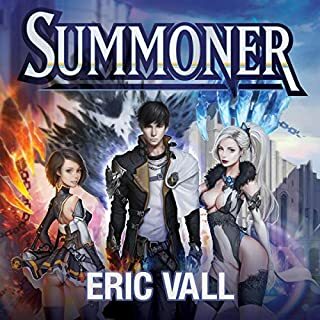 His loves, fears, past.... You join him on his journey to save humankind from his own race, while winning the heart of a woman determined to hate him and all non-humans. Although the narrator could have done better, it is well worth the money! I loved the humor and action throughout this book! As you can imagine from just looking at the cover.... yes.... there is a Star Wars type quality to some of it! I laughed, cried, and loved so much of this story! It is definately a must read...er... listen! However, I'm not enthused with the voice on this one. I will be getting the ebook soon! I love the author's works. This audio is great it brings 2 worlds together . A retelling in modern terms of Romeo and a Juliette. It’s about aromance between an Alien a human female. Malakyle is from another planet who is trying to save his kind from being wiped out . He loves selling flowers of all kind even meat eaters ( humans ) He doesn’t want anyone to see is everyday color so he puts on a costume dressed like a goth lover . Hexa had a hard time in the service, she was injured body , soul and mind wise . She loves going to the flower that she notices the guy goth , Malakyle . Malakyle notices her . Also. Aliens, demon shapeshifter, humans, angels and DNA demon enhanced humans make up this mixture of characters. The story was good but drug out in a few areas I thought could be shorter.the overall message of the story is a good one. Galactica Goth what a gre and at series! 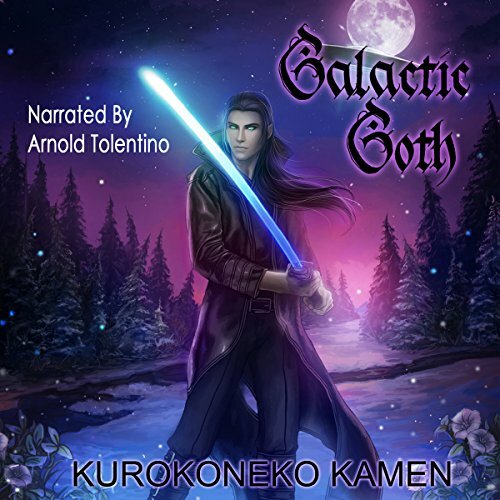 Galactic goth what a great series! I enjoyed the series very much. It has demons, archangels,vampires and aliens,what a combination. If you love sci-fi books and romances you will love this book. 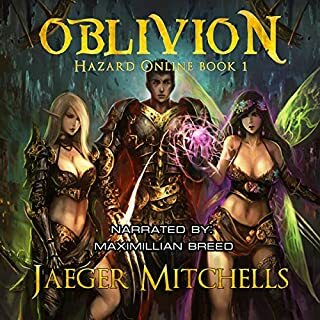 The author has a great imagination and I enjoyed her descriptions of some of the action scenes and tools that they used. The narrator does a great job on distinguishing between the characters and their voices.